Nathan is a half blood, the son of a White Witch mother and a Black Witch father and he doesn't belong in either of their worlds. Barely literate and unable to sleep indoors, he also cannot pass as human among the Fain, those who don't even realize that witchcraft is under their noses. He has been abandoned by his father and blames himself for his mother's suicide, he is loathed by his half sister and beaten and bullied by Whites his own age. Meanwhile the Council of White Witches is determined to control his fate, by force. It doesn't take Nathan long to understand that he must make his own way, be his own moral compass and his own best chance of survival. There is a lot of hype about this book, but to my mind, that hype is justified. 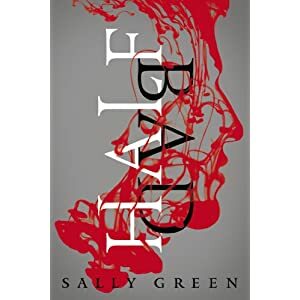 There is so much to love in Half Bad. The language, effortless pacing, contemporary setting and tantalizing hints of the story yet to come are all marks of quality this book carries with ease. Nathan's voice is street smart and tough as hell, but he has a strong moral code, (I suspect this is the source of the Hunger Games comparisons). My favorite thing about this book is the treatment of magic. Magic is something subtle in this world, no flying cars or magical dragons. Instead, magic is described as a gift, different from witch to witch in type and strength, there are healers, potion makers, shape shifters and some with less common gifts. It makes magic seem more believable and is an obvious limit to the extent of any one character's power. A teen book with guts and heart, plenty of action and some touching moments. Bring on Book Two!